Shutterfly CEO Jeff Housenbold on the holiday season, snapping up GrooveBook and Shutterfly acquisition rumors. Photo products company, Shutterfly (NASDAQ:SFLY), is gearing up for holiday season, which accounts for over half of its annual revenue. Shutterfly sees a sharp increase in photo gifts and holiday card purchases in the fourth quarter. Photo books are core to Shutterfly’s business and the company just announced it acquired Groovebook, a subscription service that regularly sends books of mobile photos. Housenbold said the company can take 100 of a users most recent photos and turns it into a mini Groovebook. Although Shutterfly is the clear leader in the photo printing space, some analysts wonder if the business will lose value as it becomes easier than ever to store photos online. Housenbold, however, says that online photo-taking has been a boon to Shutterfly’s business. 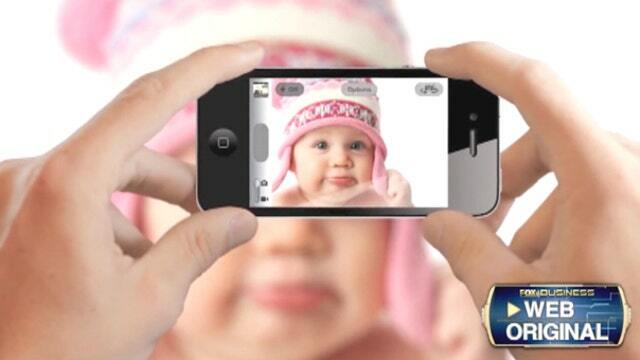 “People are taking more pictures than ever before, hundreds of millions a day... They want to do more with it than just simply have it stuck in their cell phone," he said. Shutterfly is also in the digital storage space, with its ThisLife service. But with competition from Google (NASDAQ:GOOGL), Amazon (NASDAQ:AMZN), Dropbox and others, it’s difficult to stand out in this space. “We compete with a lot of folks but they’re focused on photos and sharing,” Housenbold said. He added Shutterfly helps its customers make personalized products and has found a way to monetize photos on a scale he believes no other company is capable of doing at this time. In recent months, the company has been subject to acquisition rumors, in particular that private equity firms were interested in a buyout. “We were approached by a number of players and as a board we took those offers seriously and we evaluated them...we decided that we’re growing have plenty of free cash flow...so we’re going to keep investing,” Housenbold. said. So with the rumor mill churning, will the compnay consider a buyout of some kind? "(Shutterfly has) a fiduciary responsibility to evaluate any serious offer and we’ll continue to do so," the CEO said. Shutterly shares are down 17% in the past year and closed Thursday at $42.01. The company has a market cap of $1.6 billion.